Summer Camp in Lawrenceville - Club Drive | Discovery Point Club Dr. Discover Our Exciting Summer Camp Opportunities in Lawrenceville on Club Drive! With summer just around the corner, it’s time to start thinking about how your child can make the most of this exciting season. Our summer camp in Lawrenceville on Club Drive offers plenty of opportunities for fun and adventure as well as skill development and creative expression. 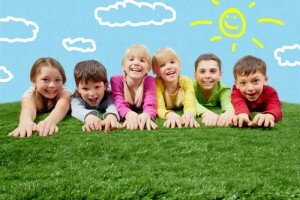 We’d love to make Discovery Point Club Dr. part of your child’s cherished summer memories. Read on to learn more about what we have in store for summer 2019. Sportsmanship. Our activities show campers how teamwork can help them become champions. Friendship. Campers build relationships and socialize while learning about the significance of kindness and respect. Self-reliance. We give children the tools that they need to be resourceful and adventurous. Health & fitness. Our physical activities help children understand that their bodies are amazing machines. Self-esteem. We highlight campers’ strengths and assist them as they find their inner confidence. Imagination. Children learn how they can use their imaginations to build exciting things in real life. Critical thinking. We give children plenty of opportunities to use their noggin and sharpen their problem-solving skills while having a blast. Don’t hesitate to learn more about our summer camp in Lawrenceville on Club Drive. Just call Discovery Point Club Dr. at (770) 279-8400 for details, or drop by our child care center today.